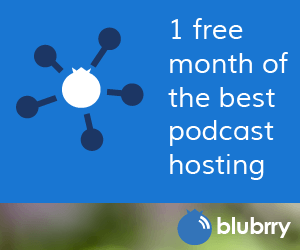 First, log into your blubrry.com account to link your PowerPress Site to your Blubrry hosting account. If you have more than one Blubrry directory listing, select the show that this site is associated with, in the drop-down menu. Once you have your account linked, go on to the three-step quick setup. 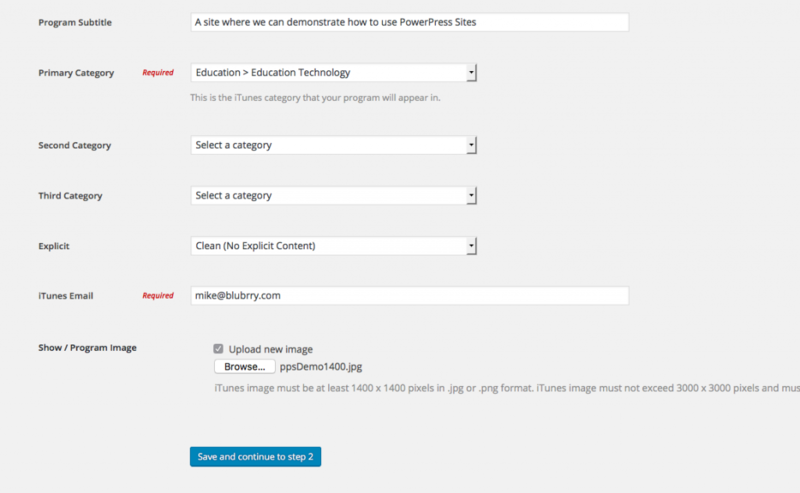 Setup your PowerPress Site in three quick steps. Fill in the options that are not already filled out for your site in Step 1. The title of the website should have been set when you created your site, but if you need to change it, you can do so in Step 1. If you use Google Analytics, you can put your GA Code in at this time. 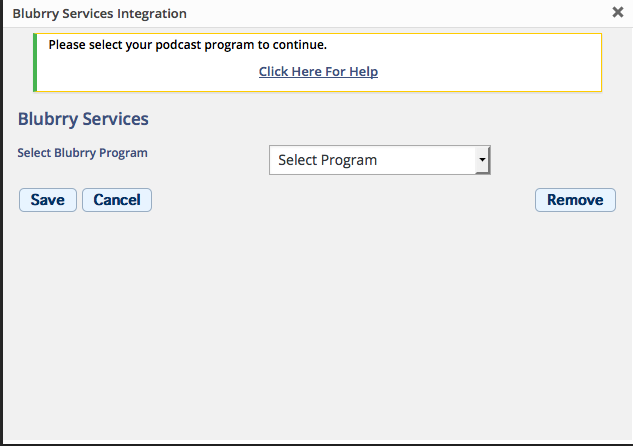 If you are ready to go on to setting up your podcast, click yes, where it asks if you are ready to setup your podcast. Put in your program title and description. This program title is what your podcast will be titled in iTunes and all other directories. The description is simply a short paragraph that describes your show. The Program Subtitle is a short description of your show that will appear to your subscribers on iTunes and other apps. Pick your Primary Category. This will be where your show is listed in iTunes and other directories such as Blubrry. You can have two more categories that your show can be featured in iTunes in, but will not be listed in those categories. The primary category is the important one. Set your Explicit tag to either Clean or Explicit. At this time upload your 1400x1400px (up to 3000x3000px image). In this area you will create your About Page. Enter this important content in the designated box. Select the disable comments plugin if you want to be able to disable comments for your site. 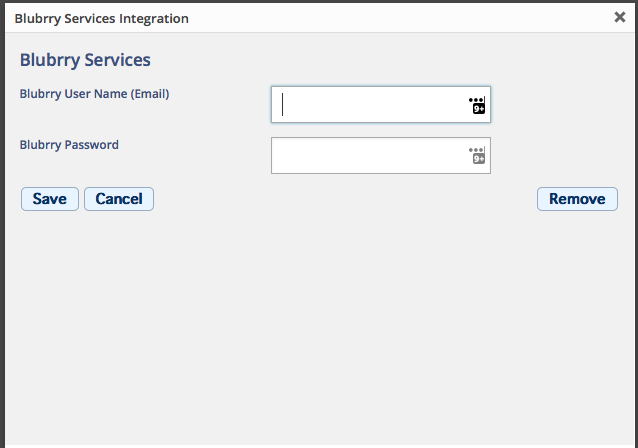 You can change it in the WordPress dashboard at a later time if you wish. 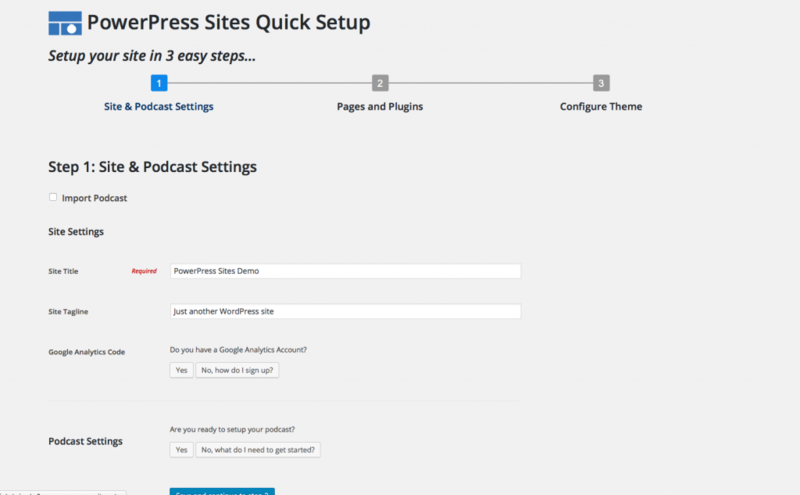 The PowerPress Theme is very configurable for color, layout and more. There are many preset color schemes available. Be sure to save any changes.